Call time 6.30 – I awoke at 4.30am and left the house at 5. Starbucks next to the underground = Saviour! Surprisingly busy journey, for sure saw others en route to Fashion Week. Uber from the station and met Andi Pearce from Richard Phillipart’s core team and at the show was Kathryn Dartnell from Haringtons in Winchester. It was really nice to recognise others on the team. The hair look was super cute. James created natural centre partings, prepped hair suitable with L’Oréal Professionnel Tecni.ART Pli and blow-dried it in. Then the back was divided from the sides leaving 3 sections of which we braided with the front coming away from the face. Once braided we secured with small elastics then pulled and teased the braid into a rounder shape and flat ironed which created the lovely texture and a rounder wave but still flat. Then once this had cooled, we removed the band and worked through the untouched ends with an iron to blend the texture. The hair was then dressed and finished. For the models with slightly less hair, we added a couple of tracks. These were pre glued & fixed in diagonal sections at the side of the nape. I learned that we measure the desired length and pre-cut with a razor before securing them in. The opportunity arose when Richard Phillipart contacted me saying they needed assistants. On Saturday night when I found out my place was confirmed I could’ve cried – my friends were round mine and we all screamed and celebrated. Feels crazy to think it was a dream to be able to assist at any shows for London Fashion Week 3 years ago and now I get to do it every season and a show like Burberry! Call time and location changed a couple of times but luckily I was able to make it for 11. 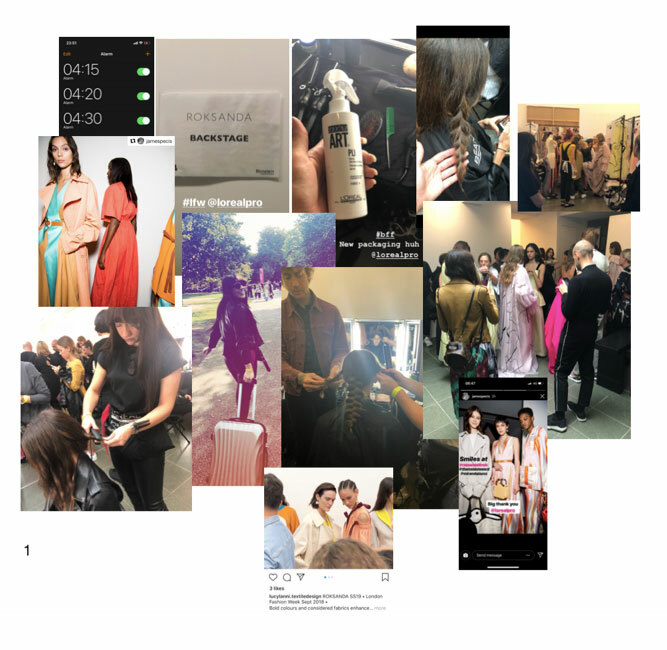 Me and Andi headed over after packing up from Roksanda and met the guys over there; so lovely to know a lot of the guys from L’Oréal Professionnel session teams and a few I’ve met at previous shows. The security was quite serious and it was a strictly confidential show so our cameras where taped over so no BTS pics. The backstage buzz was incredible, we were spread over two rooms. The hair was 4 looks – girls, ladies, boys and gentlemen. People were cutting the men’s hair, which I’ve never seen backstage before. I got to prep, mainly the gentlemen which was fun, we blow dried their hair flat and back and made them take their tops off and put on a white robe lol. 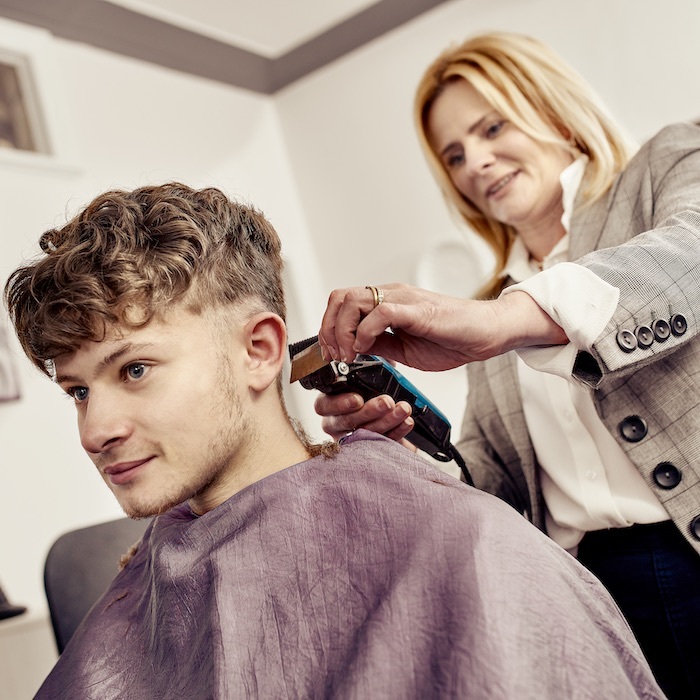 Once the hair was dried, we fastened cut-up strips of hairnet with cover clips – I learned that we do this so that it enables the hair to be evenly flat as it keeps the tension rather than using a whole hairnet which could loosen. We saw Kendal Jenner when leaving the show and it was packed outside with photographers. Me and my kit got home around 11pm and set my alarm for 4.30am again for Tuesday’s call time of 6.30am. Call time 6:30am. Now this show was fun. 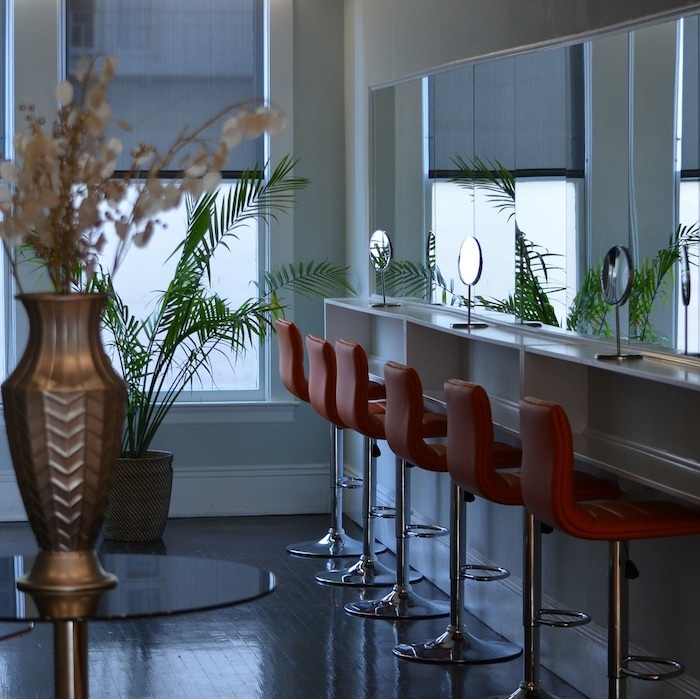 A really relaxed atmosphere and Tina was lovely, very personable and her team was great. I have to say I loved how she had her own gowns and cards with the slogan ‘Tina did it’. 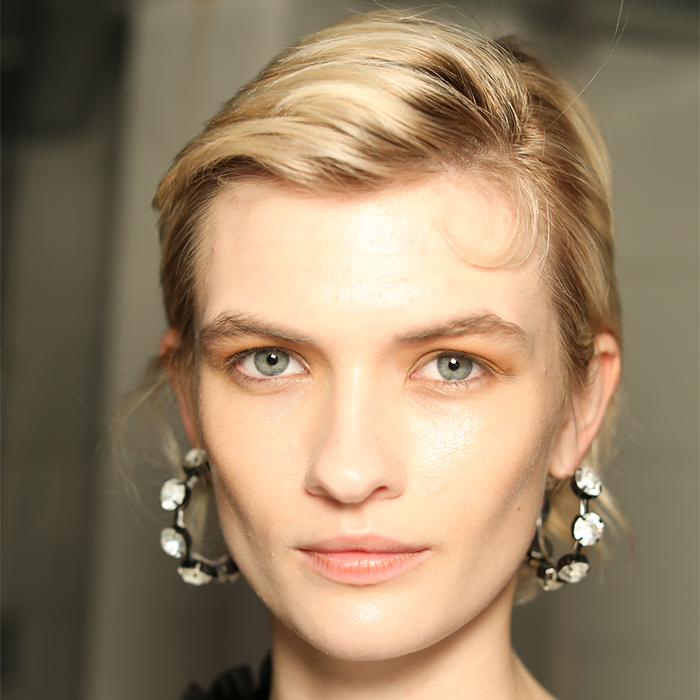 The hair was full of texture as if the models had woken up, not washed or brushed it. 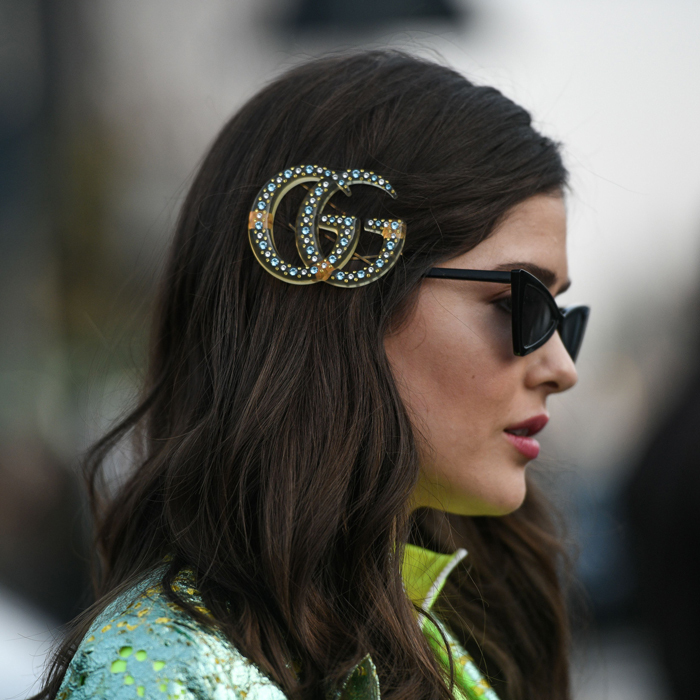 But a natural texture at the top of the head. We created this using a crazy amount of L’Oréal Professionnel Tecni.ART Hollywood Waves Spiral Queen mousse from the temple down and layered in through the hair drying it in working with the models natural texture. To finish we worked a small amount of L’Oréal Professionnel Tecni.ART Liss Control cream through the tips of the hair to stop them looking dry. The clothes were incredible and there wasn’t a line up as the models got onto a bus to a different location for the runway. After the models we packed up and I left for the final show I had with just enough time to stop for lunch on the way! I love On|Off and have done it a fair amount of times now so I know the location and set up without even checking. 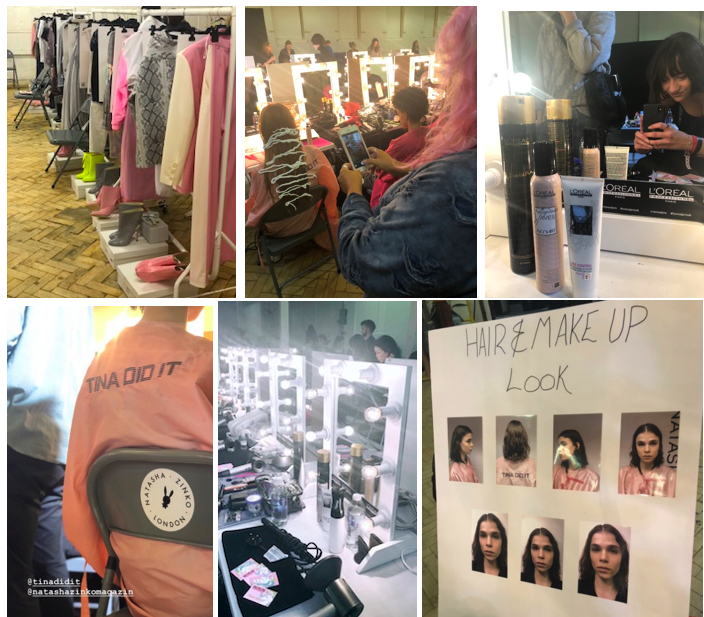 I also love assisting Richard Phillipart and being part of his core team is such an achievement for me as I always remember seeing him at events and wishing that I would be – I love the hair he creates and this was no different. Call time was 2pm, we got set up went through the look then it was go go go! No time for pictures. 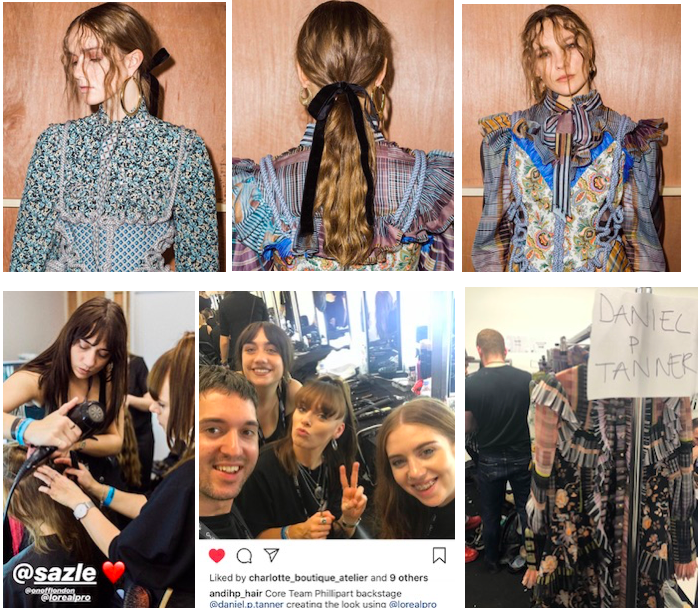 The hair looked great, we started by prepping the hair with L’Oréal Professionnel Tecni.ART Pli, creating strong centre-partings (harder than you think in the conditions of being backstage). A good tip Richard gave me though is to always stand directly behind the model. Keeping the roots flat, we then worked through the hair starting at the temple with a small tong and a larger tong creating soft waves and texture by alternating directions of the hair. We added false fine fringes using small wefts just at the front hairline and razored these for an authentic touch. The hair that needed it we also added wefts to fill out the ponytails. 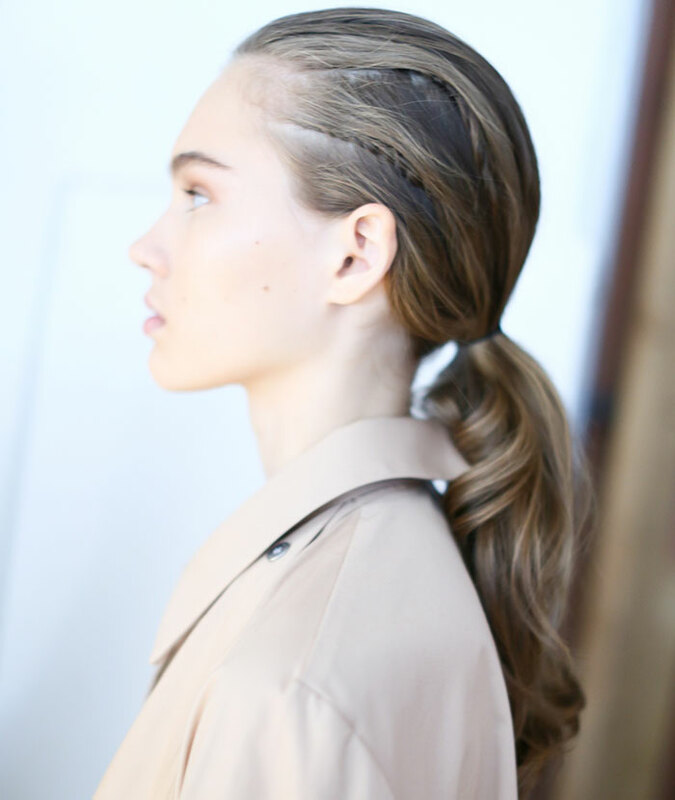 We secured the ponytails with elastic and created some shape just above the nape by teasing the hair. We then added these super cute velvet bows that we had made just before. Backstage at On|Off is always super buzzy as there are so many of us, you blink and it’s over but I love it. The models looked amazing & the hair, clothes and styling were beautiful also. When there is more to the hair it’s always a good buzz because you don’t have time to pretend to be busy you just are and this is another thing I love about assisting Richard. Once the show had started I packed up and waited for the models to come back through to remove the added hair which we used Pli for and it works a treat! Thanks to L’Oréal Professionnel and Richard for the opportunities again!